Timer will be set for each pedicure service to ensure our customer will get the quality service. Includes classic spa pedicure along with Fructose Scrub exfoliation treatment to remove dead, dry skin and calluses. Melting away stress with reflexology massage and leaving your feet feeling soft and smooth. Finished with a hydrating therapy moisturizer. Includes classic Spa along with fruclose schrub with exfoliant treatment to take off dead, dry and callluses. Finished with hydrating therapy moisturizer. Includes classic Spa along with aroma seaweed mash, leave your feet feeling relaxed and refreshed then massaged with minty cooling gel to release stress from your feet. Cut & shape nails, push & cut cuticle, buff, massage feet & calves with polish of your choice. Want to feel sensational? This completed pampering therapeutic legs, feet, neck, and shoulder massage with pure aromatic essential oils. Refreshing your feet with coconut milk and silkening hydrating therapy moisturizer. You will enjoy a long massage with lava hot stone. At last, your feet immerse in paraffin hot wax to retain the moisturizing. It's the most invigorating wake-up call for your tired feet. Cuticles are perfected and nails are trimmed, shaped, buffed and polished. This is an ultimate feeling of relaxation! Started by pampering therapeutic legs, feet, neck, and shoulder massage with pure aromatic essential oils. 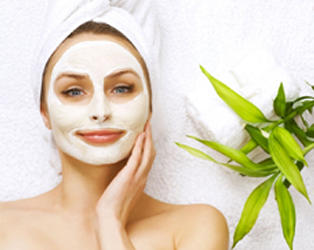 Then fresh Aloe Vera mask relieves most stress, smoothing skin and moisturizes your feet. Followed a long lasting massage with lava hot stone to increase circulation and deep muscle tissue relaxation. Finished with paraffin hot wax and cuticles are perfected and nails are trimmed, shaped, buffed and polished. Cut & shape nails, push & cut cuticle, buff, massage hands & arms with polish of your choice. Includes manicure along with a skin exfoliation treatment, hot towel application, neck & shoulders massage. One of the most exciting beauty innovations and our skilled technician can make it lasts without chipping for at least two weeks and doesn’t require much time to dry. Organic dipped in powder. Price is short nails length only, additional charge for longer nails and shape from $5 to $8. Please call our salon for more detail about our SNS Nails. Price is short nails length only, additional charge for longer nails and shape. Please call our salon for pricing details. Using our advanced technique where the tech applies forms over your fingertips, and uses the form to sculpt the entire extension. No plastic tips are used which gives a much more realistic looking, and more durable. It takes a more skill as well to sculpt nails, and you will love the result. Cuticles are perfected and nails are trimmed, shaped and buffed. Acrylic nails are abundant stronger, attending astute and accommodate abundant benefits, as able-bodied as beauty, to the being who wears them. Our experience tech will apply Acrylic Nail Designs enhances the adorableness of the females. A deep pore cleansing includes a steaming to get rid of skin of impurities & toxins, a shooting face, neck massage & an application of masks to treat your skin type. 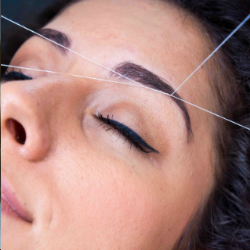 Lengthens & thickens your own natural eyelashes. 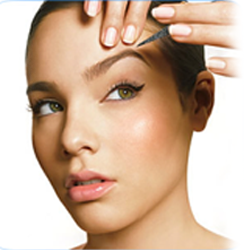 They are applied to each individual eyelash one by one for a natural, beautiful & lucious look. Normally a person's natural eyelash falls every 60-90 days & a new lash grows in immediately, Therefore it is necessary to get touch-ups fo fill in fallen lashes. As about every 2 to 3 weeks is recommended.